DAVID LE/Staff photo. 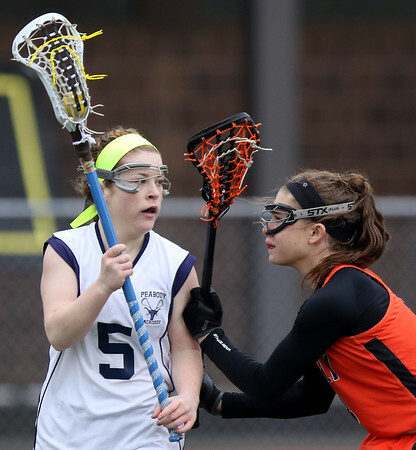 Peabody midfielder Lauren Wolff (5) looks to make a play while being defended face-to-face by Beverly's Darcy McAuliffe, right. 4/12/16.